Caff bikes terminology has not changed, back in the day, these words seemed to be only understandable to the sub- Culture that lived and breathed these British Factory bikes that were stripped down, parts either sold off or re-fabricated to enhance the Motorcycles speed, Handling and of course performance, but as well as looks, your machine needed to stand out, to really stamp an exclamation mark of Ton Upmanship. This has been my lifes interest and when I saw this machine, well, I just had to Blog about it. 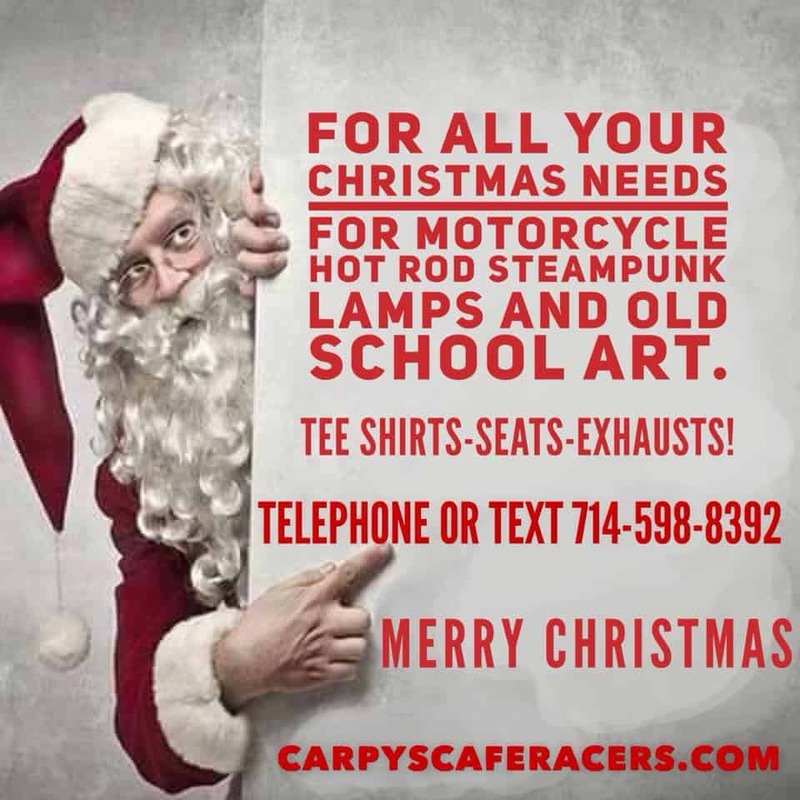 But, now in 2017, we have come a long way, a few years ago it was still a sub culture in the Caff World but, with people creating unique looking machines, the media on the two wheeled industry could not but notice this newer trend of creating your very own Rocket and the proof of that pudding is when Meridian turned out the Triumph Thruxton in 2004, it sure turned heads and the sub culture took a back step and now it has gone mainstream. 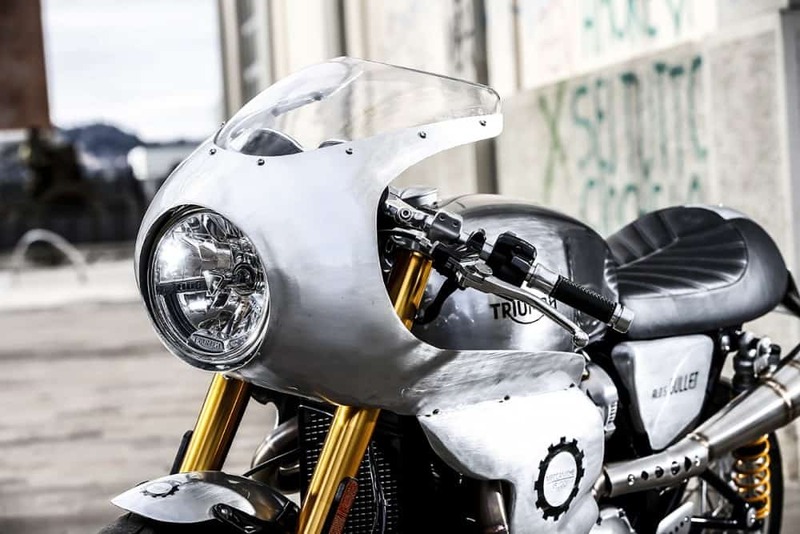 Nothing wrong with that, just look at the Brand New Triumph Thruxton R, I mean look at them, they have an old look, but- They have a strong, reliable engine that produces so much power to the ground its breath taking, the lines are so smooth and flowing that even Alberto Vargas could not equal that in any of his renderings. New modern technology with front forks, full floating brakes and sturdy swing-arm, gives this bike a Classic look with futuristic handling. 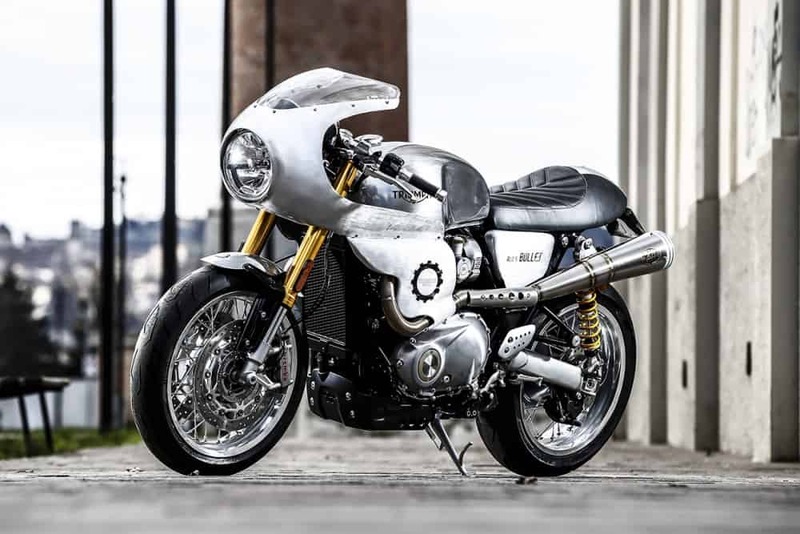 So, when you clap your eyes upon a Thruxton -R, you think to yourself, “This is as far as you could go with a Caff Racer” I mean, what else could you do to make this machine any more appealing. Well. 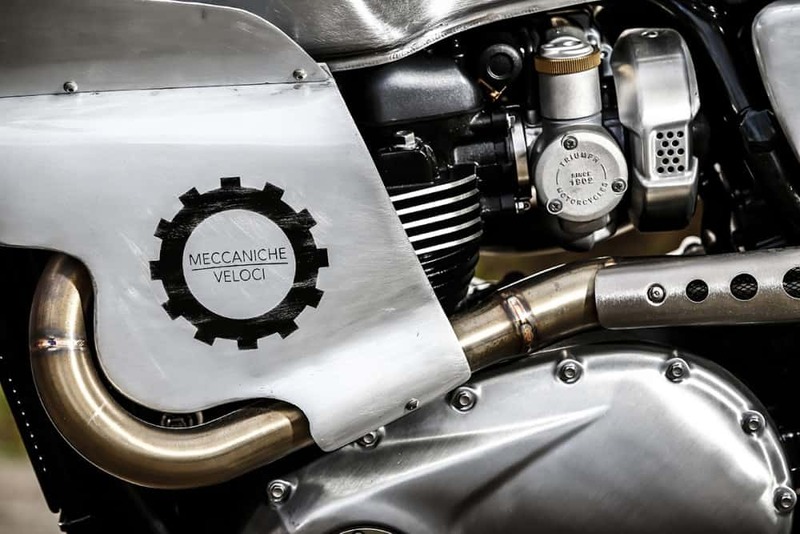 over in the town of Massa in Italy, you will find Alo and his Motorcycle company, they have been creating Caff Racers for about 10 years now and when they were approached by the high end watch manufacturer Meccaniche Veloci to design and build a stylish Cafe Style Motorcycle using a Triumph Thruxton -R, well they were on board right away and began the transformation of a really eye catching Motorcycle, into a precision work of art that runs as smooth as one of the Clients Time Pieces. 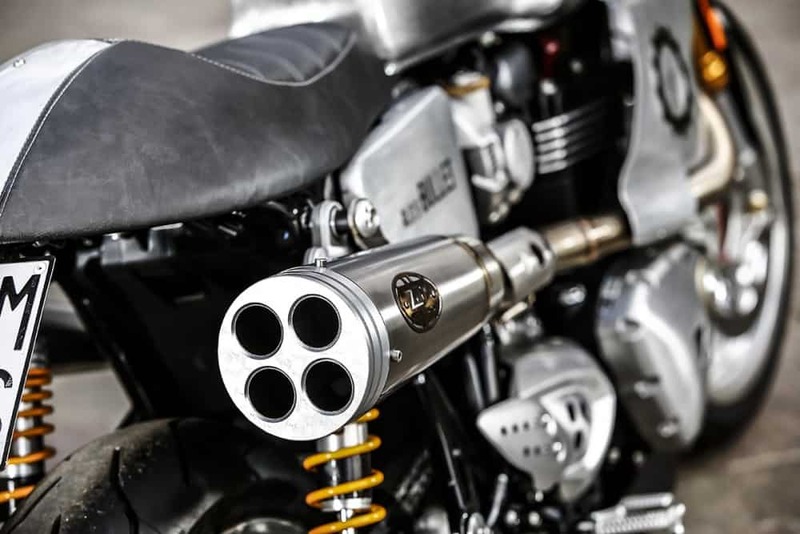 Just take a look at the craftsmanship of this machine, the exhaust are of course Italian, from Zars but with a few modifications, take a look at the tail pipes to see that the ends of the silencers features a unique 4 hole design that is reminiscent of the 4 faces of the companies Quattro Valvole watch. The headers flow so well and hug tight and high the the machine, being as one so to speak. Much fettling was applied to get this set up to look like it was from the factory and boy- Did these fellas pull that job off. 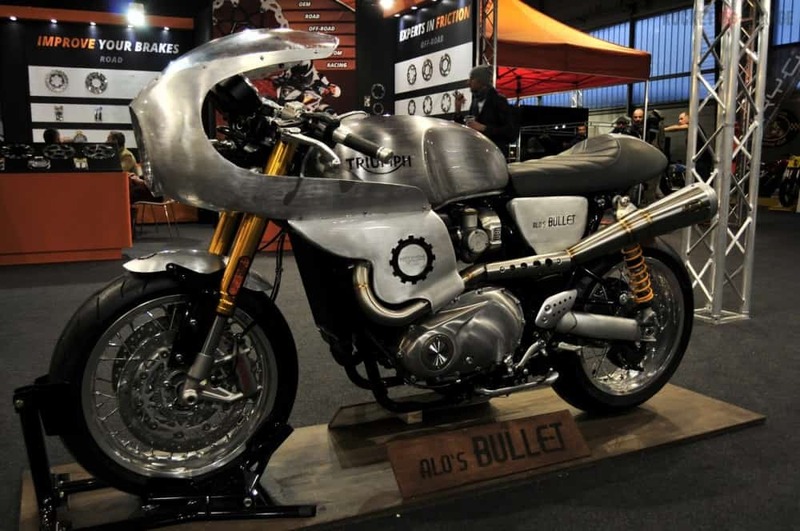 The Original Factory Plastics were removed, this machine needed to have some top quality Aluminum panels made, so to start, they decided they would hand form a front fairing but a full version reminiscent of the days back in the UK with a Phil Read style, that flowed like water from a tap. This was by no means an easy task, the lines are smooth but not straight, and to get them flowing curves, many hours of hand forming were spent in the workshop. Using just 3 pieces of Aluminum these were massaged into the work of art you see on this motorcycle, they also fabricated some side covers to keep everything in contrast with the front end. 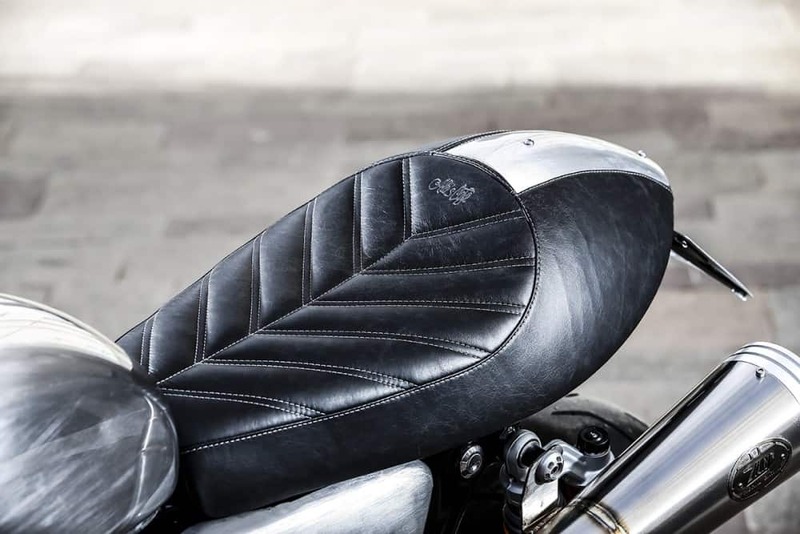 The detail is so pleasing and reminiscent of the time pieces that Meccaniche Veloci manufacture, as even the leather material used for the Hand formed seat, used the same stitching as the time pieces have as the wrist strap, with the traditional racing stripe incorporated to show this is a fast machine. The Herringbone style stitching works very well and sets this apart from anything out there right now, all handcrafted at the workshop. 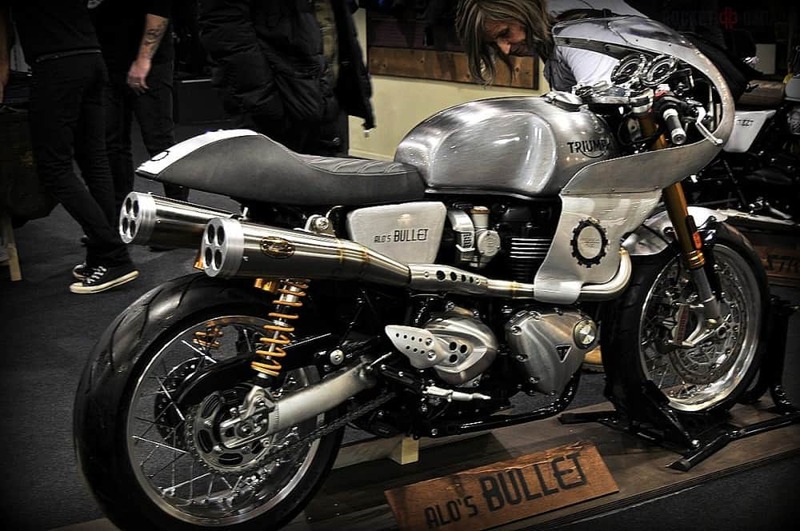 The finished example of Alo’s hard graft is so apparent, aptly named “the Bullet” This is on another level of machinery you may see of any Thruxton R right now and would love to see this at our 59 Club O.C. 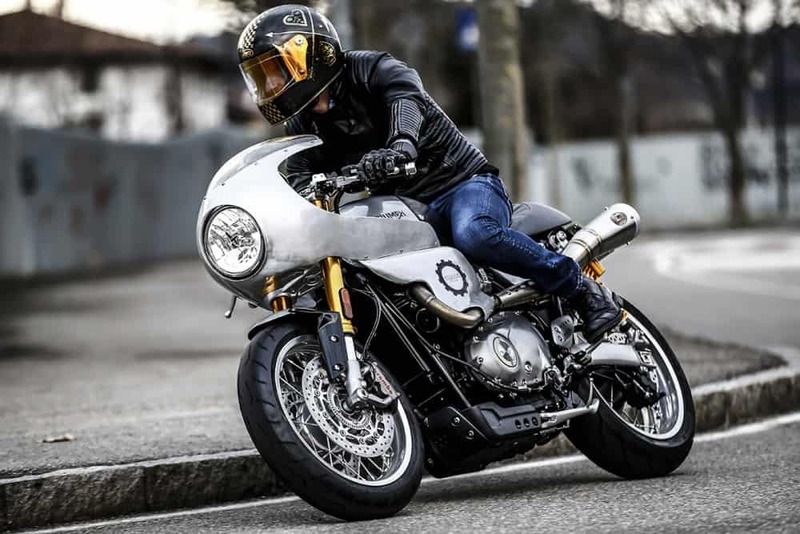 meet as it is such an eye catching Motorcycle and would love to hear them Zard pipes in action, as it would probably sound as deep and strong as Pavarotti himself. 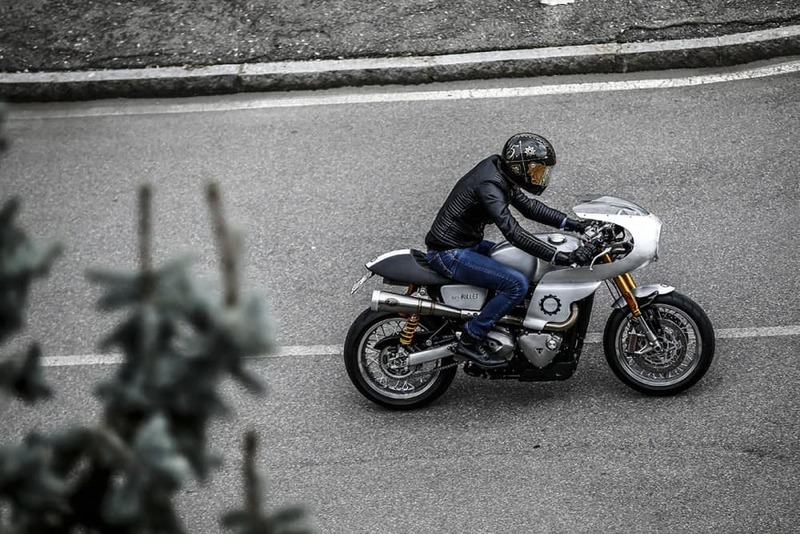 So thats my Blog for today, a nice piece of Italian styling that will always attract attention, I hope you enjoyed Fridays Blog and I try to do as much as I possibly can to promote these machines and of course the lifestyle too. 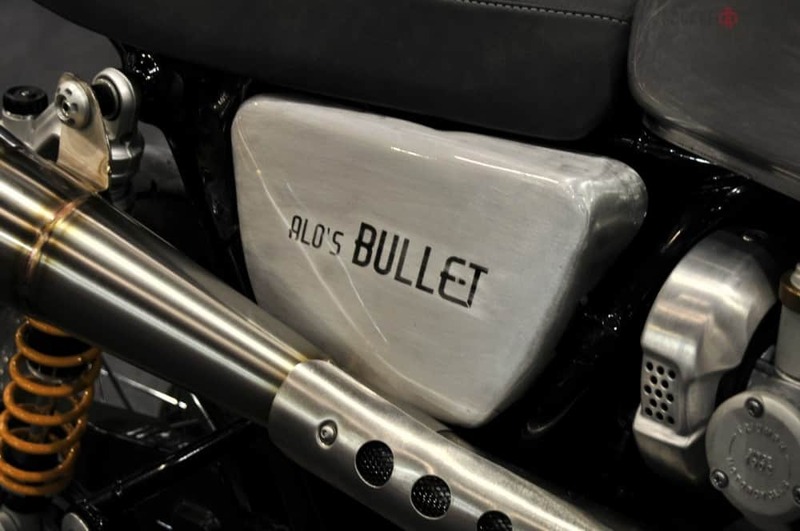 Now I have to try and at least clean u my old 2013 900 and give it a go but man thats a nice machine Aldo has created. 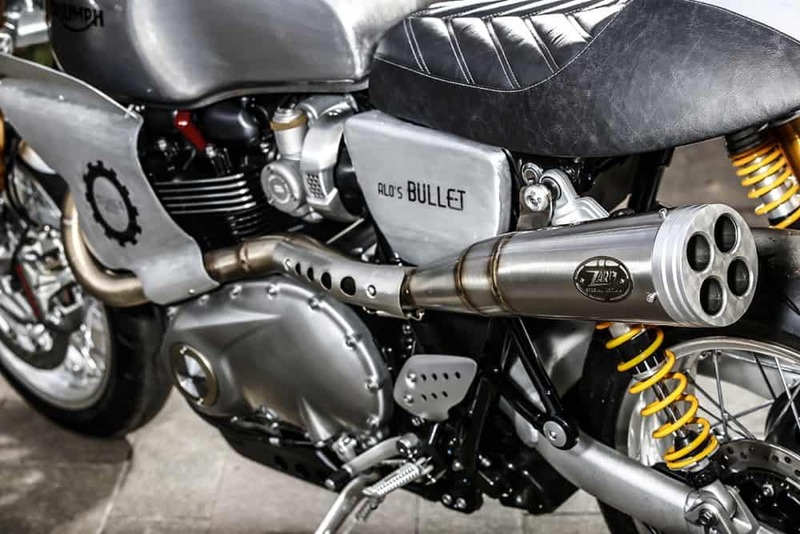 Have fun with your machine today or over the weekend, looking at things like this always gets my creative juices flowing and I am now looking forward to wrenching on my own Thruxton. If you are anywhere near Massa in Italy, pop in to see Aldo, they have a wicked workshop and you will enjoy their creations. Have a super weekend and let me know if I can help with any parts for your machines. 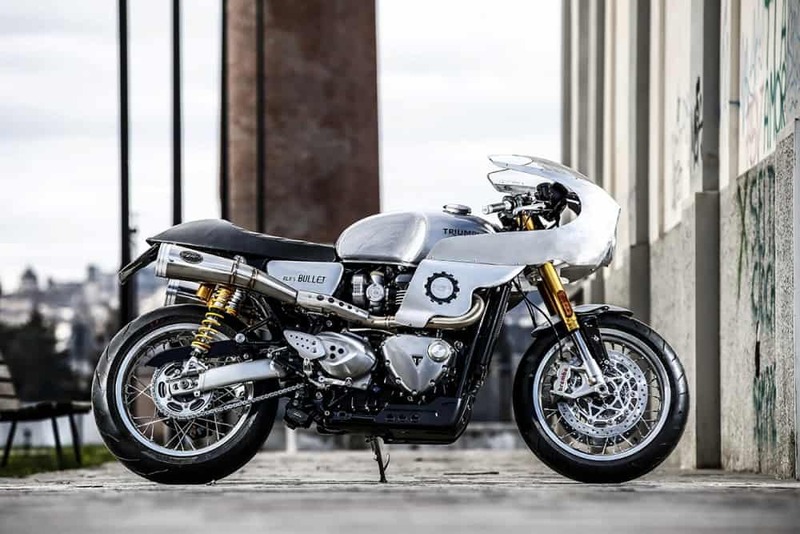 This entry was posted in Blog and tagged Aldo, alloy, built by hand, Bullet, cafe racer, fairing, Italian created, performance, road racer, stainless steel, Thruxton R, ton up, triumph, twinline, Zard.